A torque wrench is a precision piece of tooling that is designed to apply a certain amount of force to a bolt. Each application will have its nominated torque required and guidelines are typically provided mentioning acceptable torque ranges. Failure to properly tighten bolts can lead to injury or equipment failure which can result in significant loss of money. 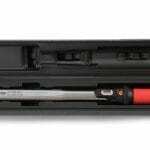 If using a click-type torque wrench, always back it off store it at the lowest level on the scale. 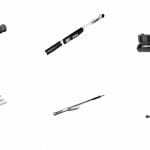 Use a torque wrench where possible to apply a specific torque value during the final assembly process. Always hold the torque wrench in the centre of the handle. Apply torque in a slow, calculated manner and avoid sudden movements. After one year of use have your torque wrench inspected and re-calibrated by the RTS calibration department. Correct PPE should be worn at all times when using any hand tool. Do not exceed the recommended working range of the torque wrench and never use the torque wrench and the top of its working capacity regularly. Ensure you look over your tool before use and check your sockets, especially if the tool is part of a tool store with multiple users. Avoid dropping and unnecessary damage to your torque wrench. Place your wrench in its sturdy plastic box when not in use to prolong the life of the wrench. Is your torque wrench due for calibration or you would like to get it checked? Call us on 1300 2 TORQUE today!